What's the difference? In the UK, we use 'shrimp' for small and 'prawn' for large. 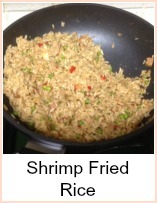 In the US, they say 'shrimp' for everything but they tend to be large. 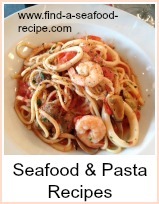 The tomato sauce base is very useful - you can use it with any mixture of seafood or fish you like as a pasta sauce. 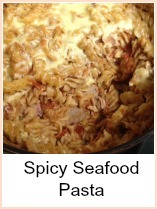 I like to serve this with some garlic bread - see the tip below for quick garlic bread without switching on the oven. Grate some parmesan to hand separately so that people can help themselves and sprinkle it on just before eating. Heat the olive oil and gently fry the onion and garlic. Add the wine, tomatoes and puree and simmer for about 10 minutes until the sauce begins to thicken. Cook the fettucine according to the instructions on the packet. Add the prawns to the sauce and heat through. Serve at once with freshly grated parmesan. 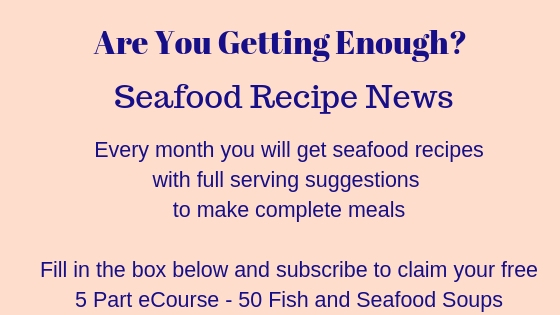 This is a really simple prawn recipe - if prawns are too expensive in this quantity for you, then you could use a can of tuna and just a few prawns instead. *TIP* Take slices of white bread and toast one side, rub a peeled garlic clove then butter the other side and finish toasting under the grill - quick, easy garlic bread. 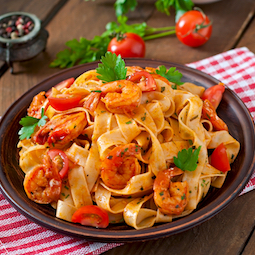 Depending on where you live, this will be either Shrimp Fettuccine or Prawn Fettuccine - either way, the gorgeous tomato sauce lifts this easy recipe to great heights.